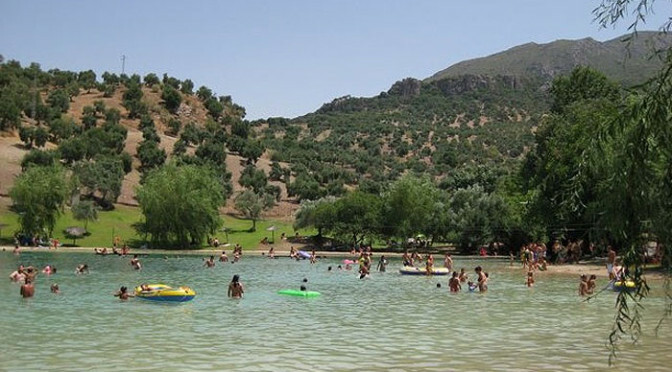 Sometimes you just want to go to the beach, but staying near Ronda means a one and a half hour drive to the coast for the closest beach, however, not too far away at Zahara de la Sierra is La Playita at Arroymolinos, a fresh water pool made into a man-made beach. From June until mid September the little beach is open, and is only a 25 minute drive from Ronda, or 10 minutes from Zahara de la Sierra or Montecorto. 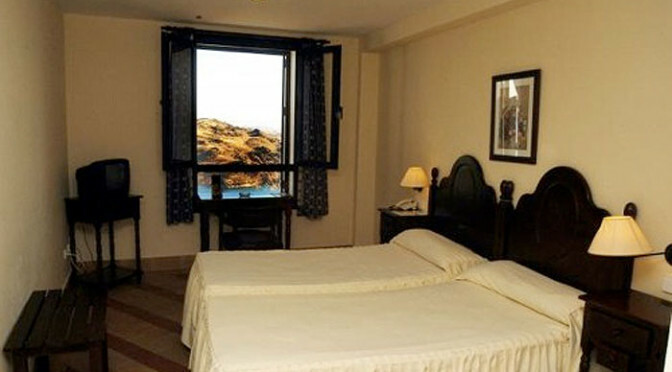 Located under Monte Prieto, the views of surrounding mountains make La Playita a truly isolated place, yet just a few minutes from civilization. 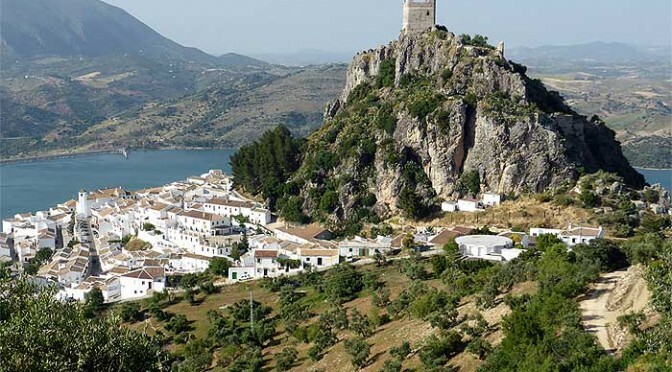 Why not reserve a night or two in Beautiful Zahara de la Sierra? Olvera is known as “the King of the Pueblo Blancos” (white towns) and it was declared a Protected Area of Artistic and Historical Importance in 1983. 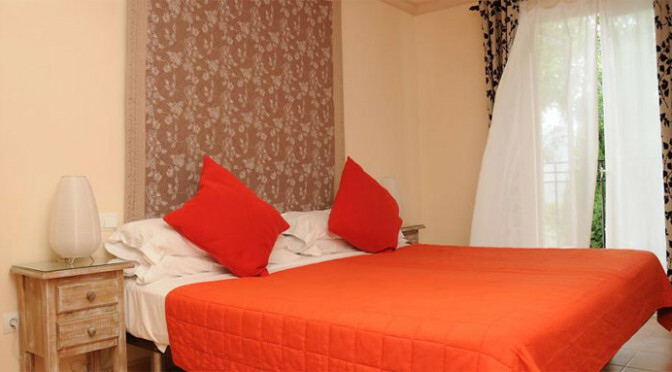 It is a friendly town with a population of around 10,000 and has all the amenities you will need to enjoy your holiday including numerous shops, banks, internet cafe, bars and restaurants. There is also a municipal swimming pool and bar which is open during the summer months.